There is nothing in the world as sweet as the taste of fruit you have grown yourself. But most of us don’t have the space for a full-blown orchard. Fortunately, plant breeders have created smaller dwarf versions of most fruit trees! 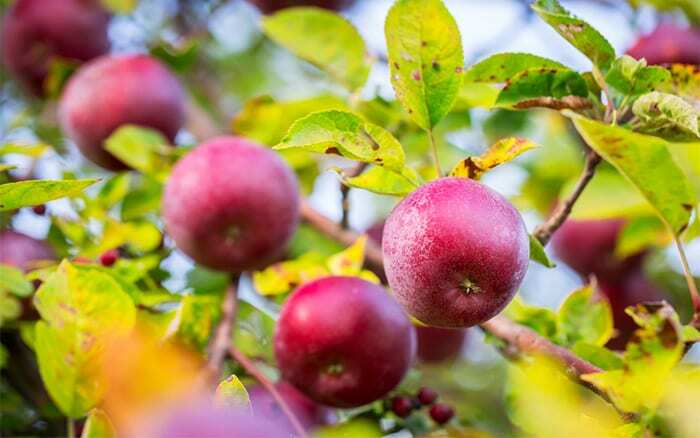 You can plant several in one part of the garden for a manageable mini-orchard. Or if you’re really short on space, just plant one. 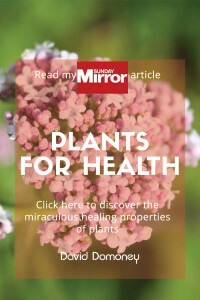 They grow happily in borders, as a feature in your lawn or even in a container on the patio. 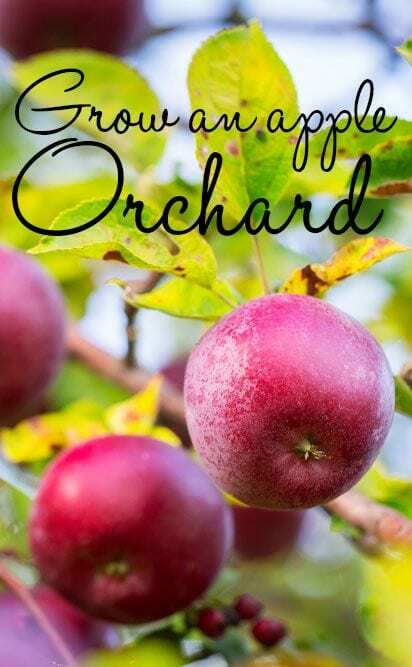 I use the term orchard loosely – it doesn’t have to be apples. I grow pear, cherry and almond trees too in my orchard. 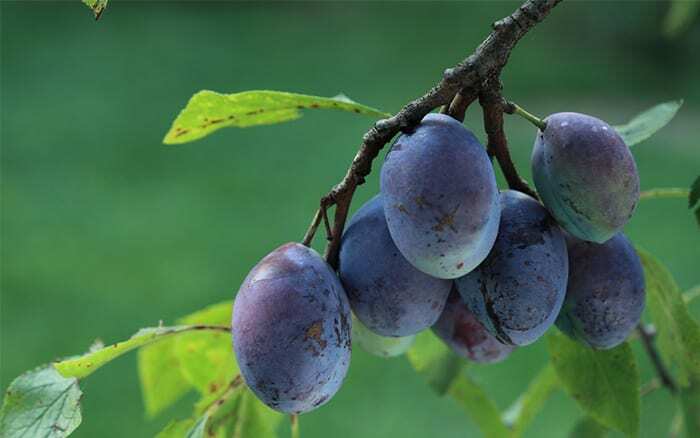 Here are my top five fruit trees. How do I plan a mini-orchard? Most dwarf trees need to be planted about three metres apart. So if you have a 9m2 plot, you can have nine trees. But it doesn’t matter if you only have three or four trees – that’s still plenty of fruit! Choose a sunny site that’s quite sheltered. First, mark a bamboo cane at 3m, and use it to plan out your planting spots. Stick a marker in the ground where your trees are going to be planted. This should indicate how many you can plant. Which fruit tree varieties should I buy? Bear in mind that apple trees need to pollinate each other. If you are in an urban environment, this should not be a problem. 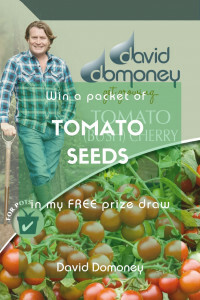 However, you can buy self-fertile varieties too. I have a mixture of early and late-harvest varieties in my orchard, so I have the longest picking season possible. But I sometimes get a glut, so here’s some ideas to use it up! I grow Worcester pearmains and Cox’s orange pippins, as well as Bramley apples to cook with. 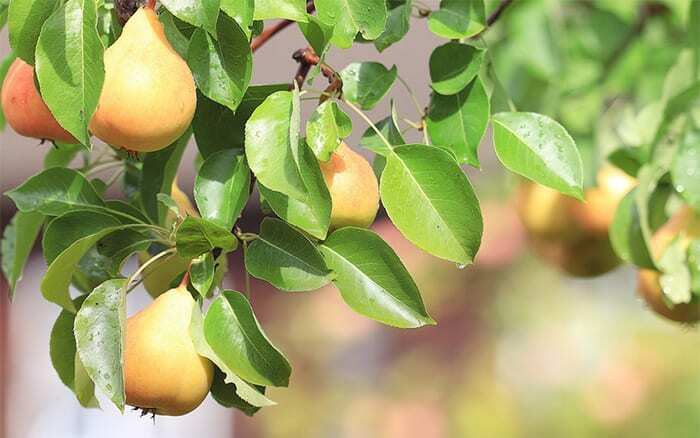 If you want to grow pears, choose a conference pear because it self-pollinates. Likewise, self-fertile cherries are the best option. I grow Cherry Stella. 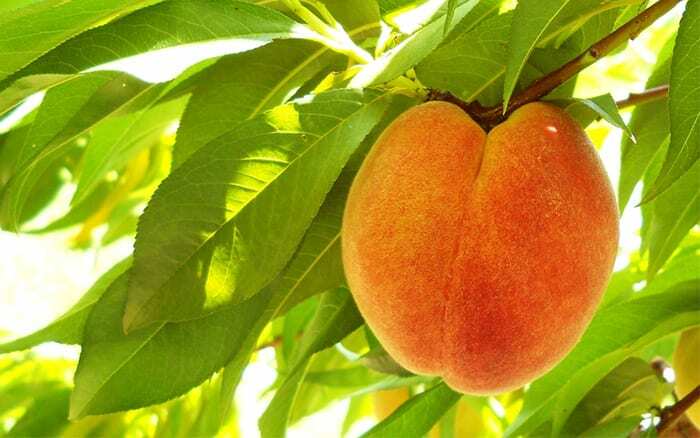 How do I plant a fruit tree? First, remove any grass or weeds growing on the soil around where you want to plant the tree. I mark my space out with a plastic hula hoop, and remove any grass growing inside the ring. Dig a hole that is double the size of the tree’s root ball. Then dig over the base of the hole to loosen up the soil. This makes it easier for the tree to grow new roots fast. Stand the tree in the hole, making sure that the surface of the soil on its root ball is at the same level as the surrounding soil. A tree that is buried too deep will suffer poor growth. Backfill the hole with the soil you dug out. If your soil is quite poor, it helps to mix in some compost before you put it back in the hole. Use your heel to firm it all down. Stake the tree to stop it being damaged or uprooted by strong winds. 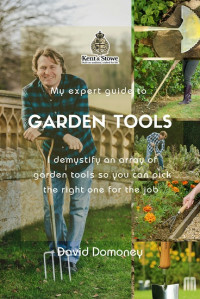 Drive a wooden stake into the ground just outside the root ball, tipped backwards at a 45 degree angle towards the trunk. This will ensure the stake doesn’t damage the roots. Tie the tree to the stake using a special tree tie, which is like a belt buckle, or an old pair of tights. These are soft so they won’t cut into the tree as it grows. Finally, water in the tree really well. You can also add a weed-block material across the ring of bare soil around the tree, or put down a mulch of bark chippings. This stops water and nutrients being stolen by grass and weeds. 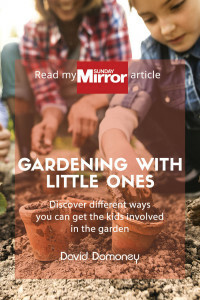 Now you’re ready to enjoy the year-round benefits of a mini-orchard – blossom in spring, leafy canopies in summer and rich, sweet fruit in autumn.